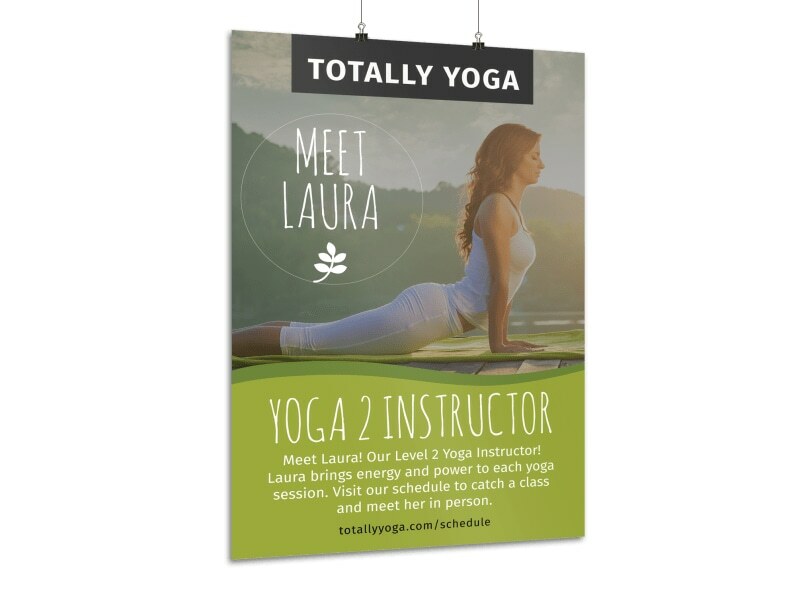 Customize our Totally Yoga Poster Template and more! 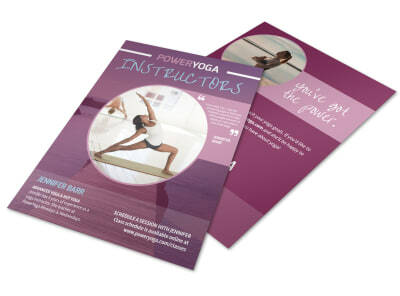 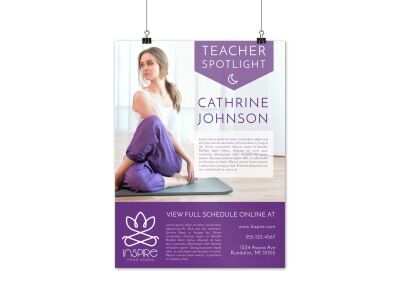 Stretch out to a new audience by creating a poster to inform passersby of your yoga class or supplies. 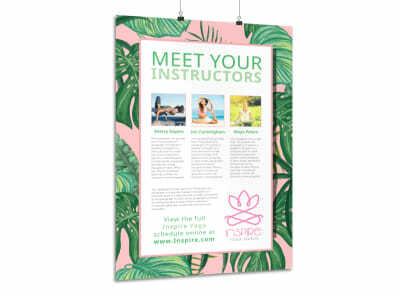 Customize this poster with images of the perfect position or your business logo. 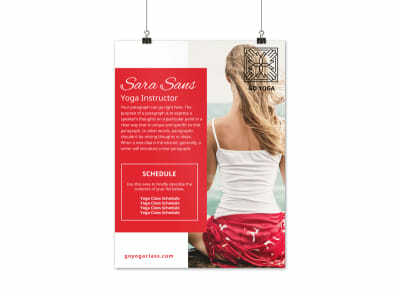 Choose from different colors, fonts and make this a one of a kind posters. 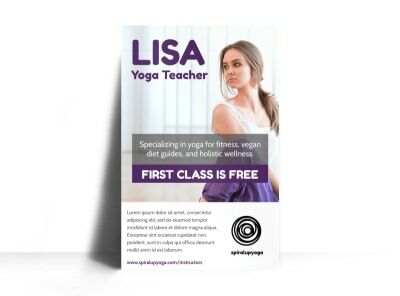 Get started printing now.